I finished my dissertation a couple of months ago, and since graduated. Finishing was a great feeling, but I certainly remember the time when I thought I was losing control of the whole thing. I thought my experiments would fail to produce any positive results, and I lost any confidence I would finish at all. A time of sleepless nights and distracted days, but I learned I’m not alone in feeling that way whilst trying to get my dissertation to come together. To anyone else who’s in that place, try not to get too stressed and negative about it. Stay focussed on what you want to achieve and keep going. If I can do it, you can – it will come together. Here’s the final result of all that work, Pattern Recognition in Computer System Events – Paul Brabban, published here in the School of Computer Science library. If you want to read it, I’d suggest having a skim over the introduction and then maybe skip to the conclusions. If you’re still interested then the detail is in the middle sections and if you want to try and reproduce my work, there is an appendix detailing some of the implementation choices I made. I’m lucky to have had such great tuition and support at Manchester, not to mention the excellent supervision I received for my project from Dr. Gavin Brown. I was also very happy to receive some great feedback from my external examiner, Professor Muffy Calder at the University of Glasgow. I couldn’t have done the project without the support of the industry partner, so thanks to them and their representatives. My mum and stepbrother painstakingly proofread my later drafts and picked out any number of grammatical errors, and my wife, my friends and my family supported me and listened to me going on and on about computer science geekery. My eternal gratitude to everyone I’ve mentioned and anyone I’ve forgotten! After writing about choosing and unboxing, I was going to write this post after two weeks of using my new laptop. 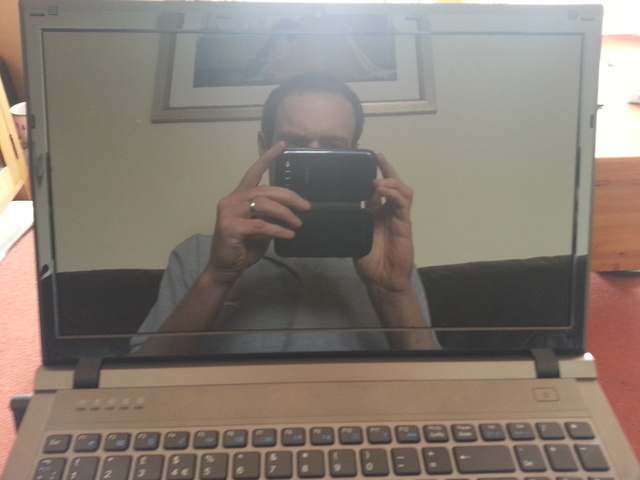 It’s been over a month because I’ve busy with a Coursera course and – well – the laptop has just kinda worked. In fact, it’s been so uneventful that there’s not all that much to write about, but I’ve now tried three distributions on it. @techhomebacon @brabster sudo apt-get install mesa-utils’ fixes the description. mesa-utils isn’t installed by default. A minor niggle. As I said in my previous post, I’m not a fan of the Unity desktop so enough of that – the first thing I did was start again and install Kubuntu. 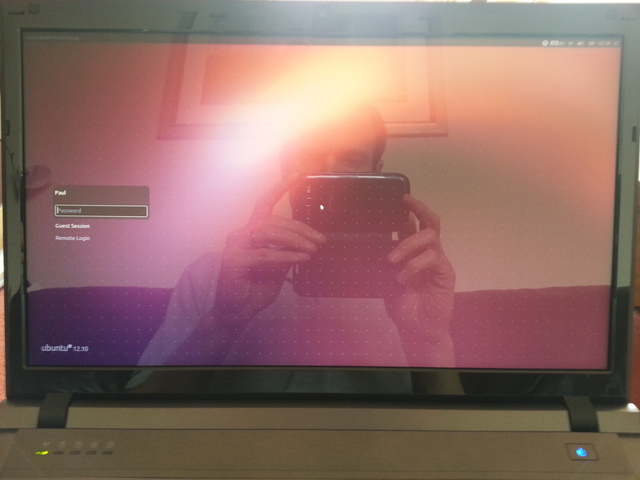 The install of Kubuntu, a derivative of Ubuntu based on the KDE desktop, was uneventful. 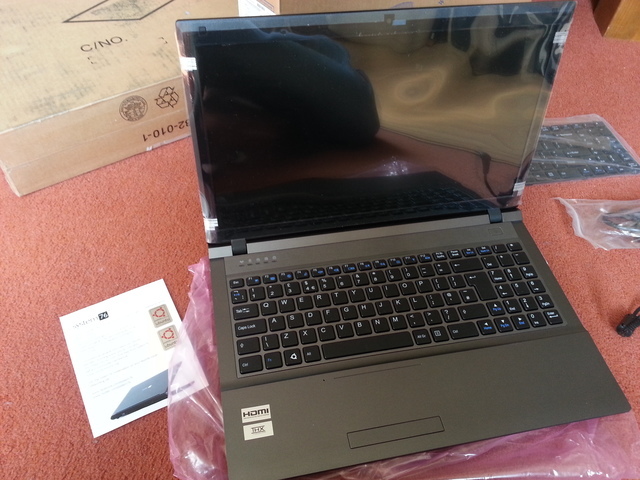 There were no problems and everything worked out of the box – sound, graphics, touchpad – all working. Not much to say, but Ubuntu to Kubuntu use the same underlying distribution and I’m already familiar with both, so I decided to try something a little more challenging. Arch Linux is an fairly popular lightweight distribution more geared to folks who like to get their hands dirty, so the setup is more involved and exposes more of what’s going on. 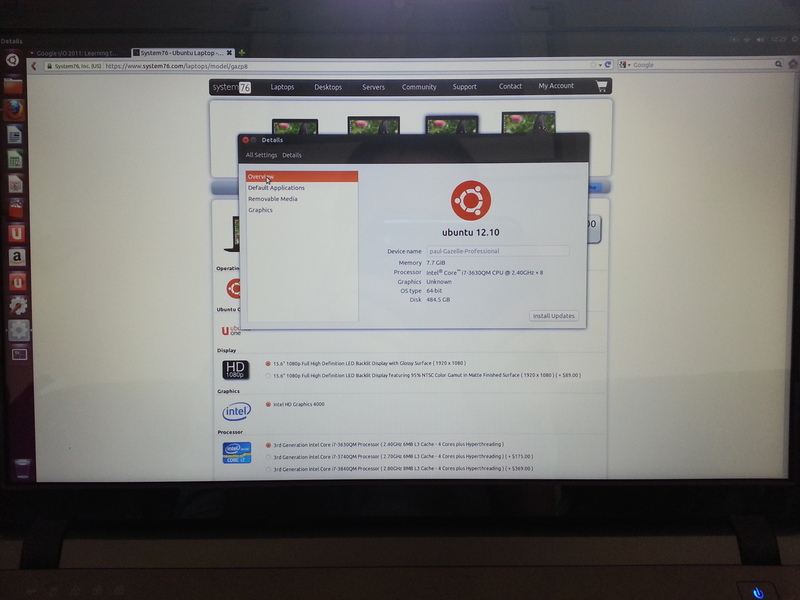 It’s not based on Ubuntu, and this machine wasn’t built with Arch in mind. I should also mention that I’ve never used Arch before, so I was expecting more problems. The setup was certainly more interesting, but entirely due to the more involved nature of Arch and my lack of general smarts. 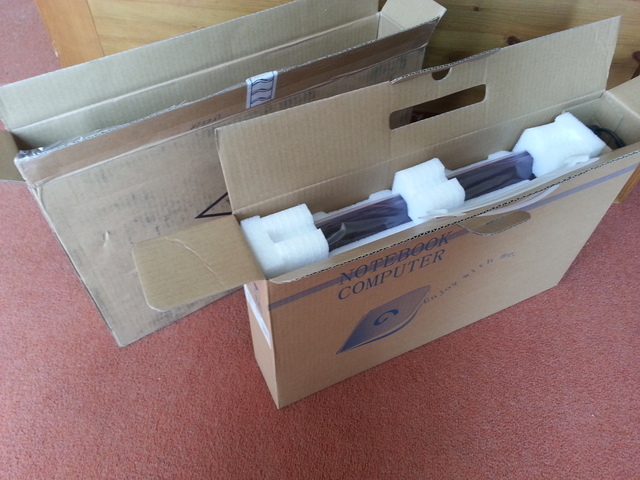 The hardware worked just fine, picking up the right packages without any special configuration. Dammit, still nothing juicy to talk about! I have noticed a couple of things that often don’t work properly. First, Ctrl-F7 toggled my display between laptop panel and external monitor out of the box, which is fantastically helpful as I’m constantly plugging in an external monitor. 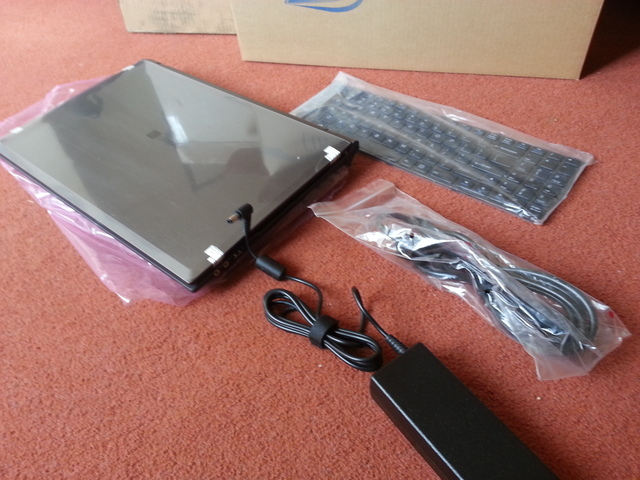 Next, my USB hub has an ethernet port and sound hardware on board – these also both worked out of the box. So far, I would recommend to a friend. All the hardware works under all three distributions. Although I bought the lowest-spec i7 processor and the Intel graphics hardware is relatively modest, KDE is a joy to use, silky smooth through all the desktop effects. It’s very quiet in normal use with no discernible fan noise. The laptop keyboard has enough space and tactile feedback to be comfortable in use for extended periods – this is of course subjective, but it works well for me. The display panel is clear and bright when the ambient light isn’t so bright as to cause excessive reflections, as you’d expect. My MSc. consists of six taught modules, and I sat the exam for the module #6 Optimization for Learning, Planning and Problem Solving this morning. It seemed to go pretty well, nothing in there that I hadn’t prepared for so with any luck there’ll be no resits and that was my last exam. At least, for this MSc, anyway. I usually post up about each day as I’m doing a module, but I didn’t this last time. The module was pretty heavy on the coursework, involving a bigger than usual time investment, plus trying to balance that with my day job and my dissertation project is tough going. To be honest, trying to split my focus over these things and still retain some semblance of a home and social life was taxing, and it felt a little like it was maybe a bit too much. That’s a depressing feeling, but hey. With this last module down, there’s one less thing I need to split my time over. The optimization module was actually very good, covering a pretty wide range of material in enough depth to be implementable. The lecturer, Dr Joshua Knowles, made all the course materials are available at the site I linked to above, as well as details about further reading, self-test questions, background materials and the like, broken down by week. If you want to know what a CS module at Manchester is like, I don’t think you can do better than familiarising with the background stuff on there and then trying to follow the course in sequence completing the coursework as you go. I might post up more about how I found the course sometime later. Right now, it’s time to get back on top of my project.